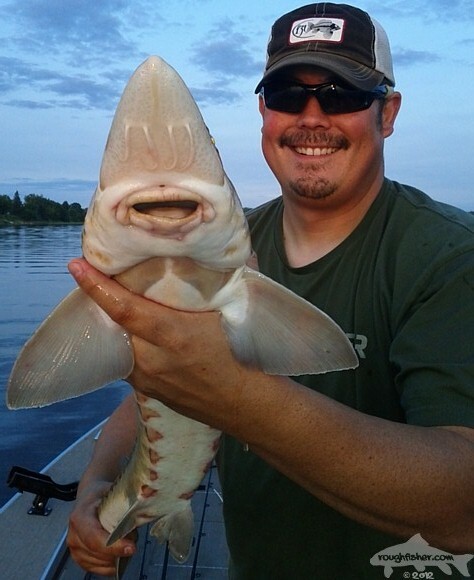 Finally, I have added the Lake Sturgeon to my lifelist. 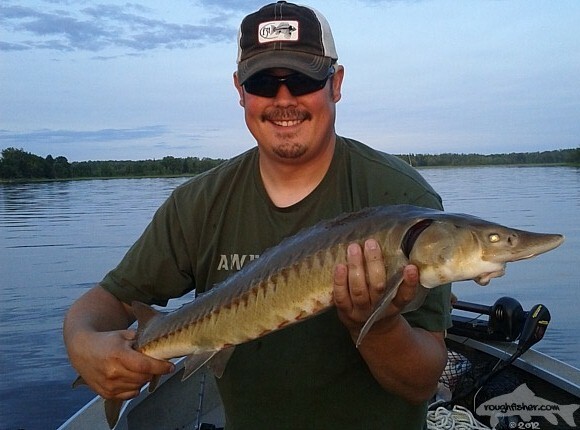 Sturgeon fishing is always something that I have always wanted to at least try. While the fish itself fascinates me, the method does not, basically a 1 oz weight or larger and octopus hook rigged up on a cat fishing pole, and a hunking gob of Canadian night crawlers. These fish feed primarily based on smell and hold deep, so a fly is not the ideal method for angling. Regardless, my first one is on the books at 33". Acipenser fulvescens are a wonderful species, hailing from the era of the dinosaur. 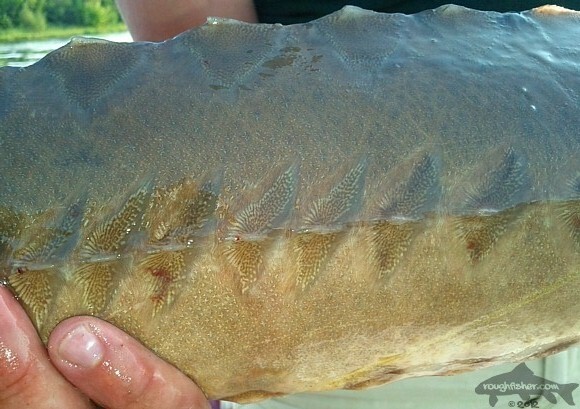 Closely related to sharks, these fish are cartilaginous and their skin rough to the touch. What makes these fish unique are their armour; these fish are the true badasses of the fish world and juveniles possess razor sharp scoots that will cut you like a surgical knife if not handled properly (I found out the hard way). These fish are long lived and can reach ages in excess of 100 years. Of particular concern is these fishes duration to reach sexual maturity, often into their thirties. This allows for a long turnover between spawning stock, a problem which plagued these fish and their recovery after being fished to near extinction in the late 1800's. In addition, habitat fragmentation due to the construction of dams and pollution have contributed to the major decline of nearly all sturgeons across the globe. The sturgeon Family Acipenseridae is the most threatened Family of all fishes with nearly all species threatened or near extinction. If you give a damn about these fish, consider joining the North American Sturgeon and Paddlefish Society. In addition to all of the research and conservation work this organization does, they also have possibly the coolest tees on the planet. Respect the sturgeon! Nice work, JP. Always wanted to catch one of those too. We fish, well, many do, for the white sturgeon here, also with bait. I have heard of people targeting them with a fly, true dedication. In Idaho they were thought to become rare or extant here with the completion of all the dams. They did not, some places they thrive. Your lake surgeon is a trim fellow, good for you on adding a life's fish!